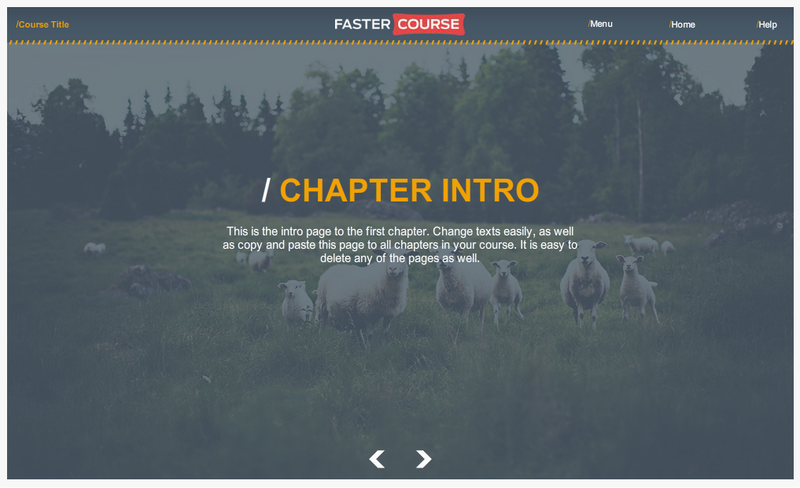 WELCOME TO THE FASTERCOURSE STORYLINE TEMPLATE GUIDE! 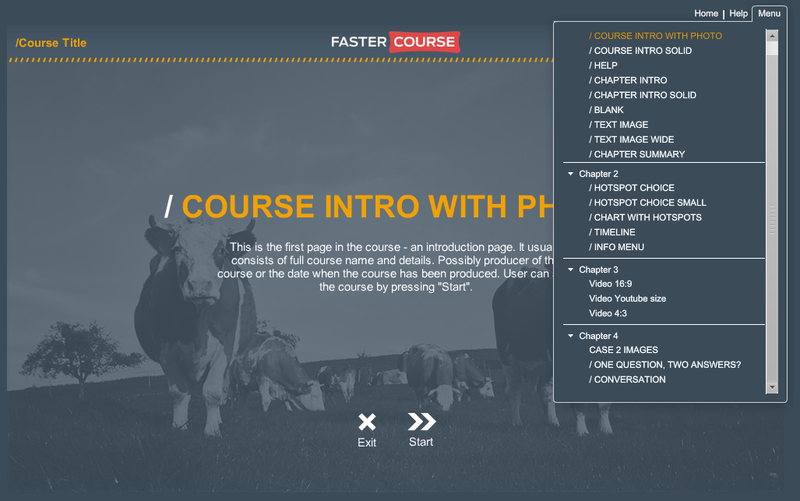 To open and use our template packages you need to have Articulate Storyline authoring tool. 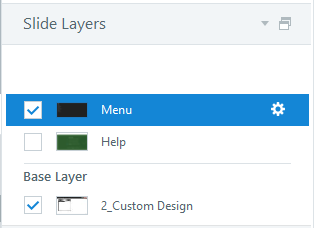 If you are creating new layers, please check carefully that you use the same settings as we did for each layout on each page. 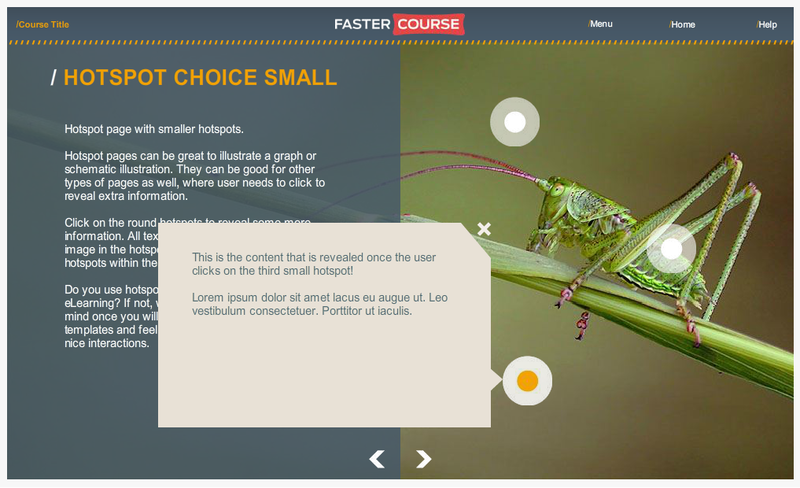 If you prefer smaller popups, we have Hotspot Choice Small slide could suit your needs better. 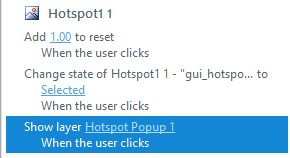 For medium amount of text we suggest to use Charts with Hotspots slide as it can’t contain as much text as previously mentioned slides, but still is quite capacious. 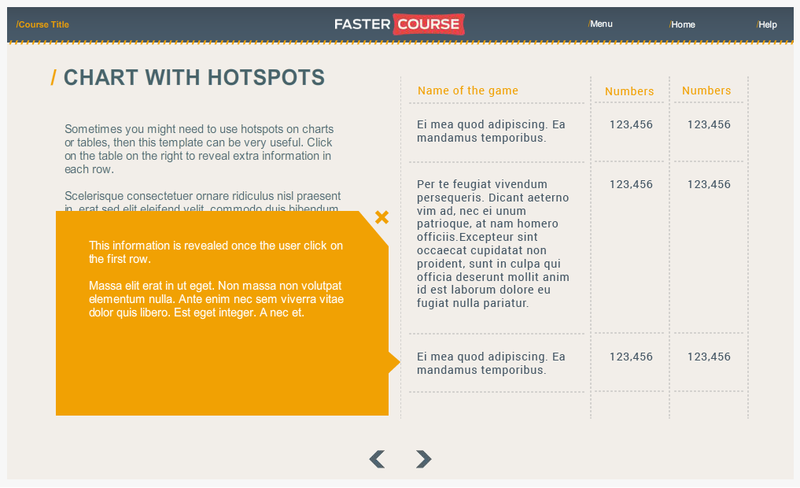 Chart with Hotspots contains a text block and a table. 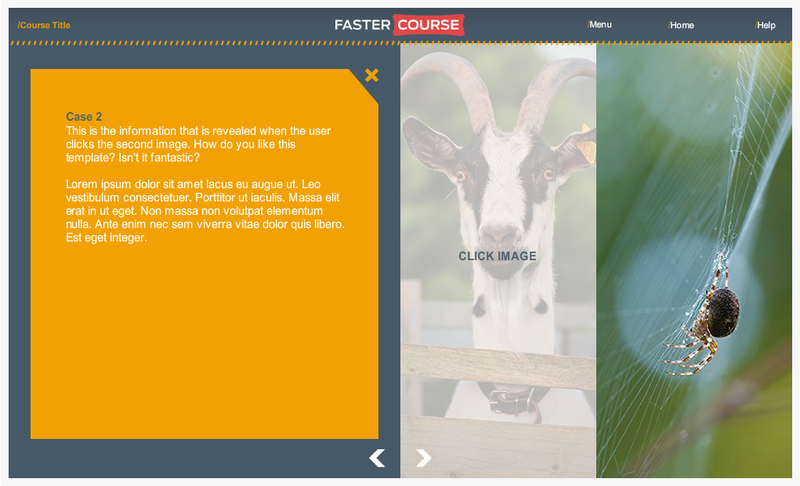 After clicking on a row in the table, a popup with the text is shown. 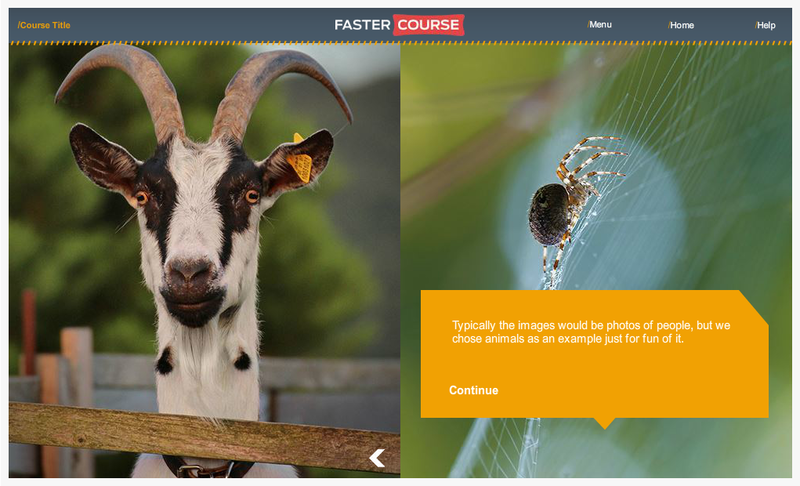 Case 2 Images is also a great slide to interactively present textual information. 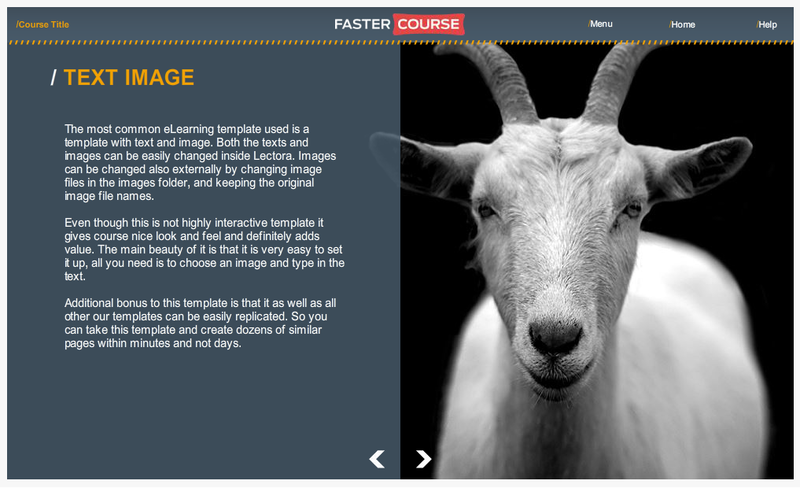 Learner needs to click on the one of two images to reveal a large popup. 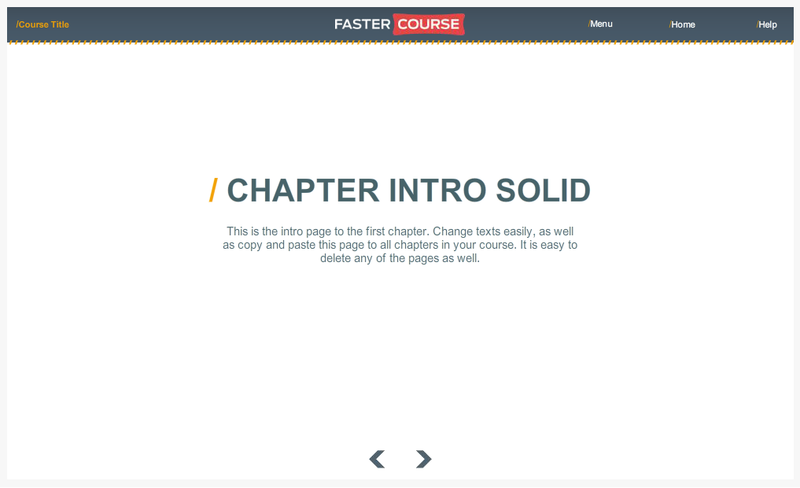 After he has read the first popup choice, he must click the second option and read the second popup text too in order to go to the next slide. 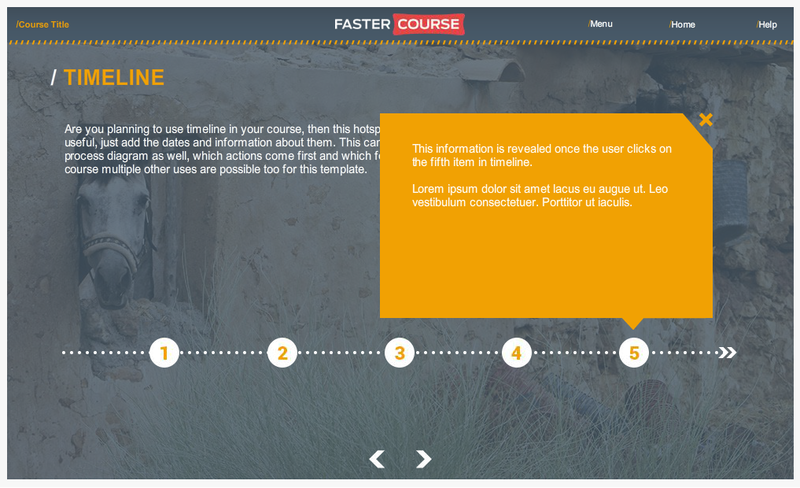 To show steps in a process, you can use some of our interactive text slides, for example, Timeline. 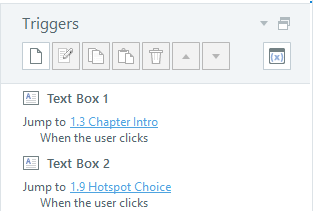 Timeline has the same size popups as previously mentioned Charts with Hotspots, so you can show significant amount of textual information. 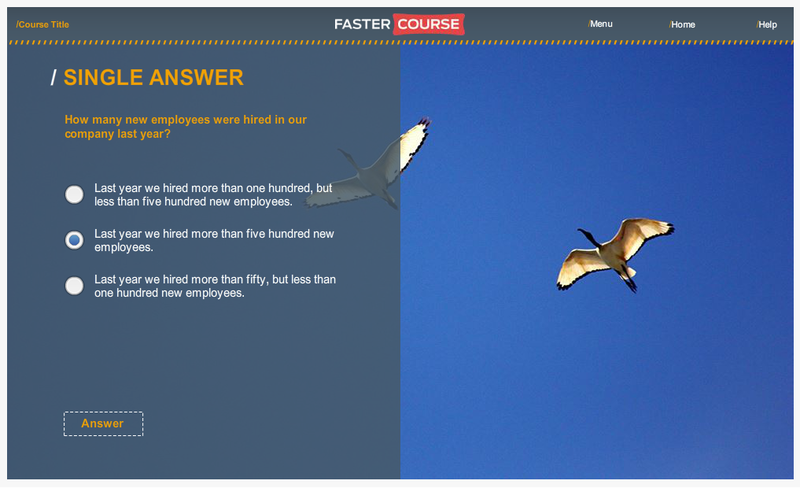 You can also make an interactive continuous conversation by using the Conversation slide. 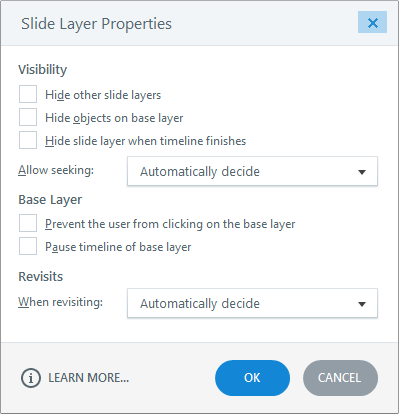 You just need to add the correct amount of layers and double-check that there is a correct layer sequence defined with triggers. 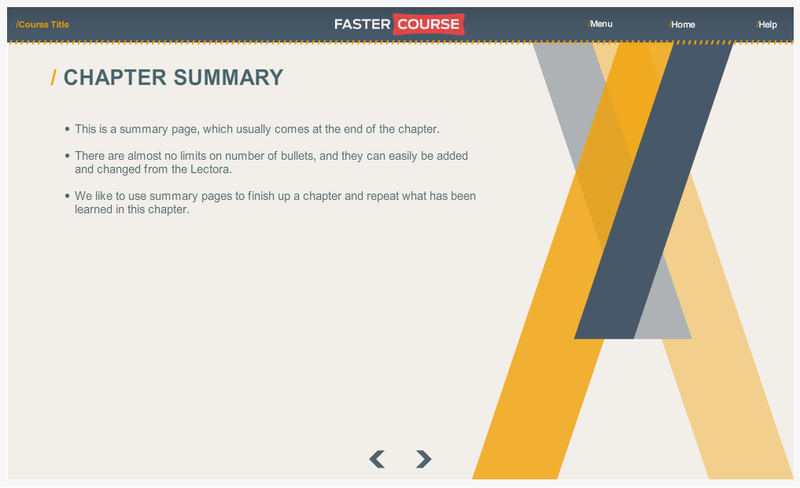 Note that it is not possible to go to the next slide until learner has gone through all of the conversation layers. 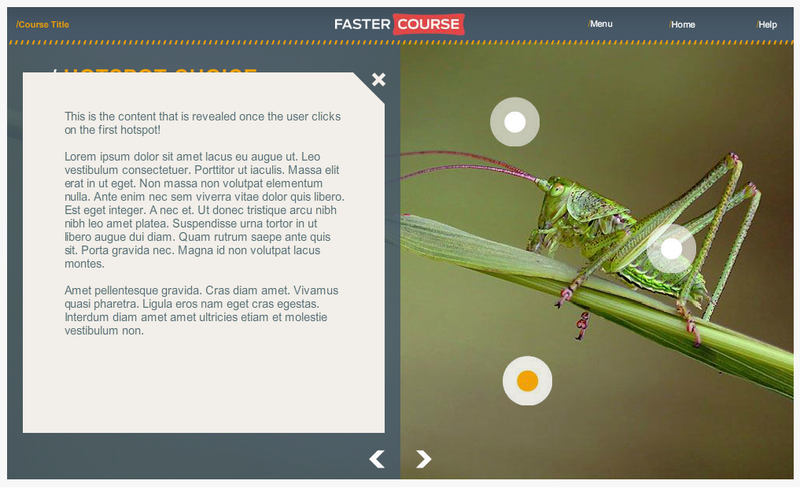 In this template package there are also two video slides, containing only a video screen, play button and a video placeholder image – this image is visible while the user hasn’t clicked video. 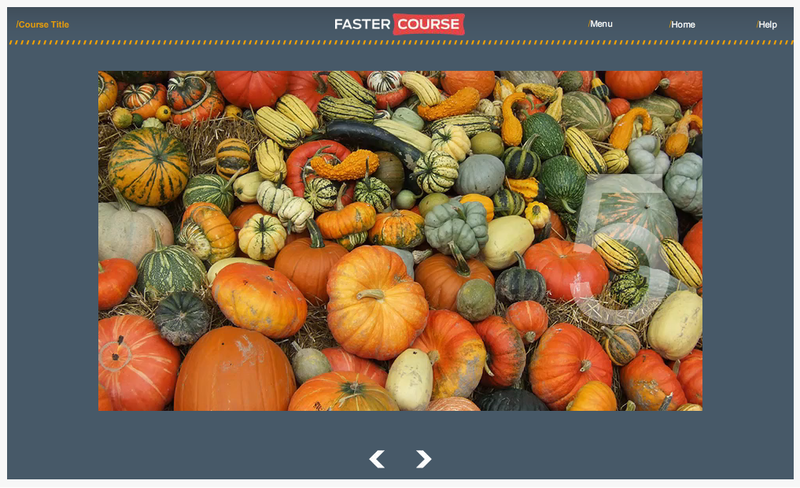 You can choose between 16:9 and 4:3 aspect ratio or the YouTube size. 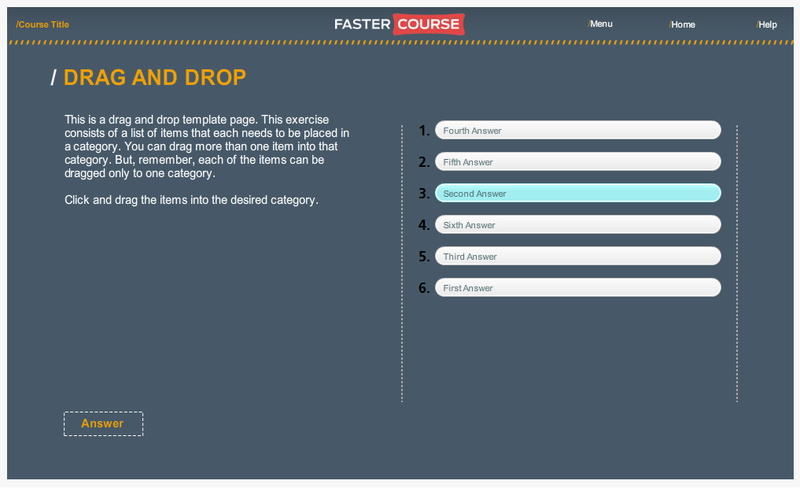 We have included several types of test templates – simple test slides, scenario test slides and also a drag and drop slide. The simplest test slides includes templates for single or multiple choice answers with or without a feedback. 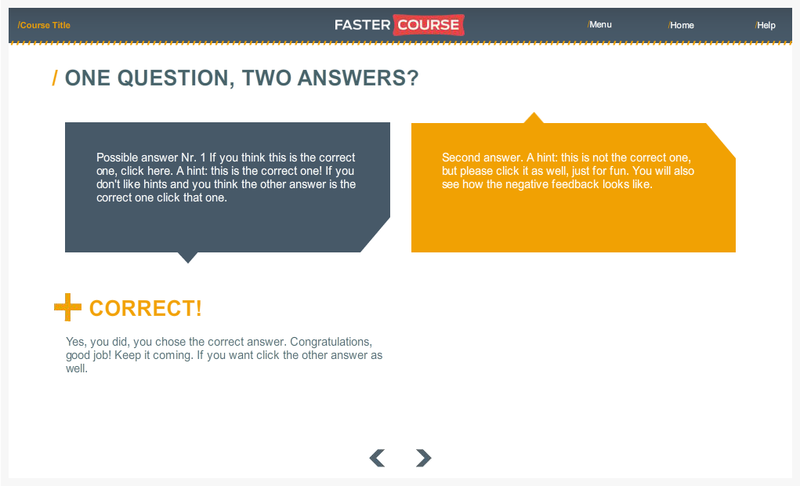 You can see an example of a single answer without feedback below. 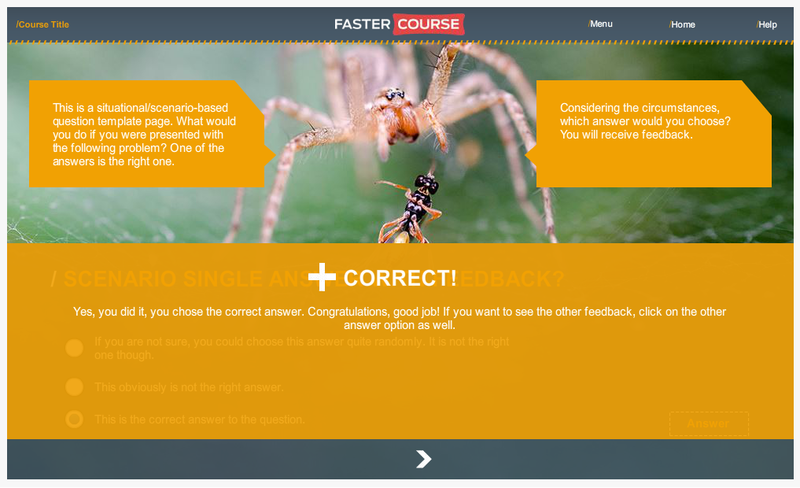 We also have scenario test slides where you can choose from slides multiple or single answer options. 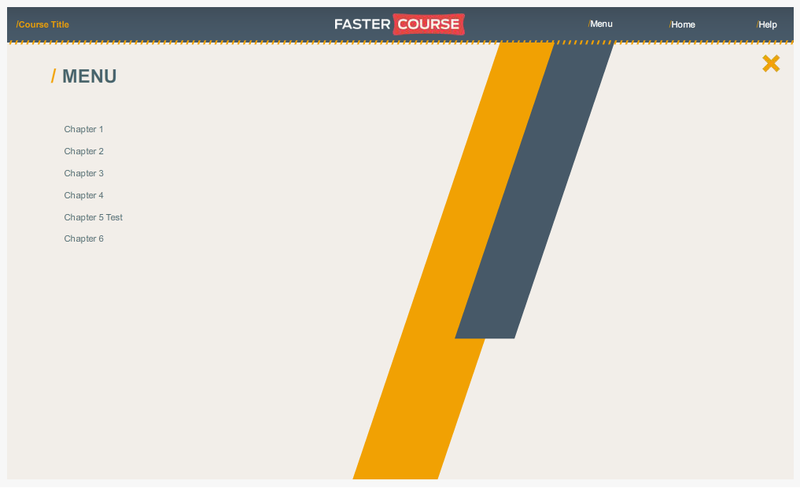 A different test slide is the drag and drop test. 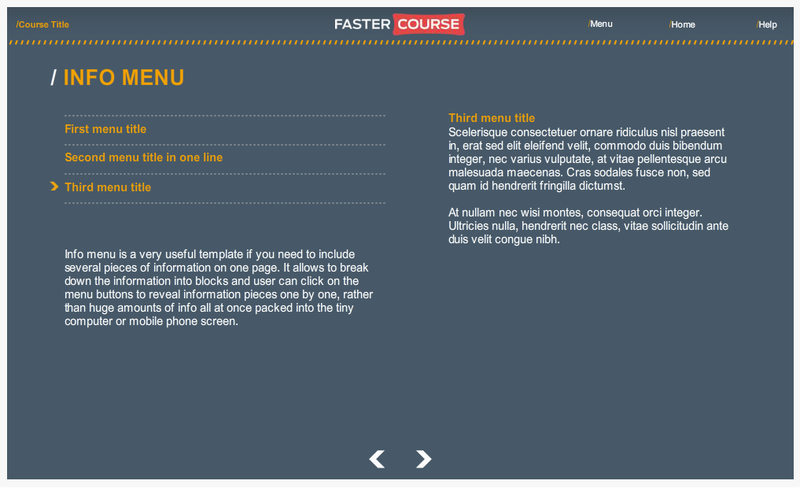 This kind of test slide can check user’s knowledge, for example, about correct order or importance levels of things placed in the list. 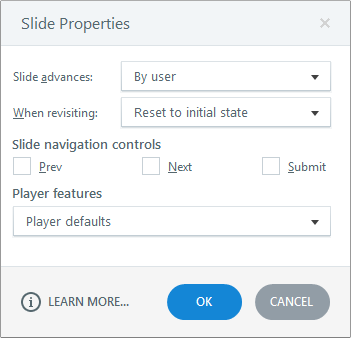 All test slides have the same design for the feedback.